That’s right folks, you read that correct – Tiger Woods is back – finishing the first round of the Hero World Challenge with a five-birdie 69 in his much-anticipated return to competitive professional golf. 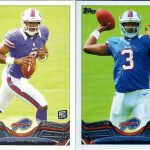 His great start to the weekend will undoubtedly have a major impact on his sports cards. 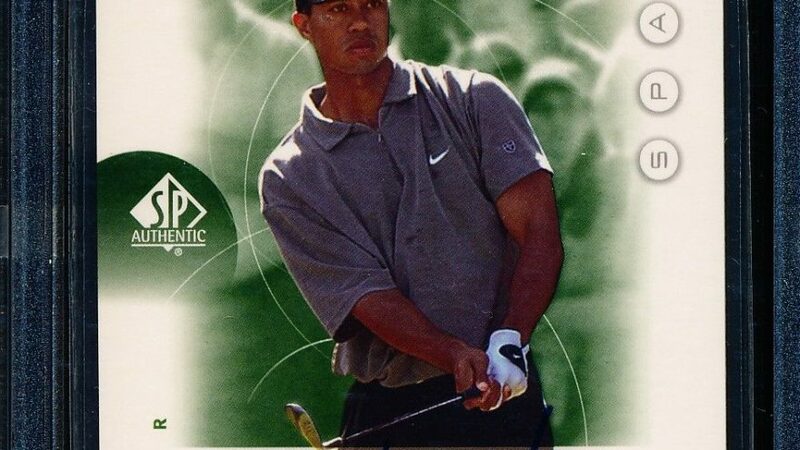 His iconic 2001 Upper Deck SP Authentic Rookies have held steady in price during the last few years as Tiger has fallen out of the ranks on tour. 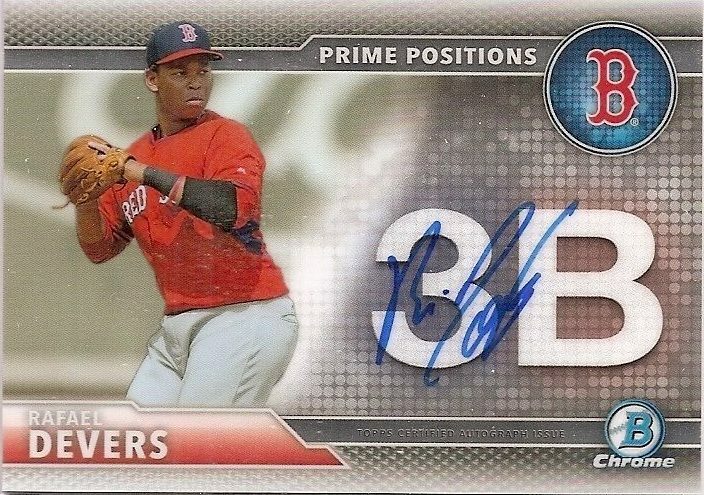 The Boston Red Sox have called up third base prospect Rafael Devers causing quite the buzz in the collecting community. Since his Major League Baseball debut will be occurring so late in the 2017 season, you can expect to find his rookie cards in all 2018 products. 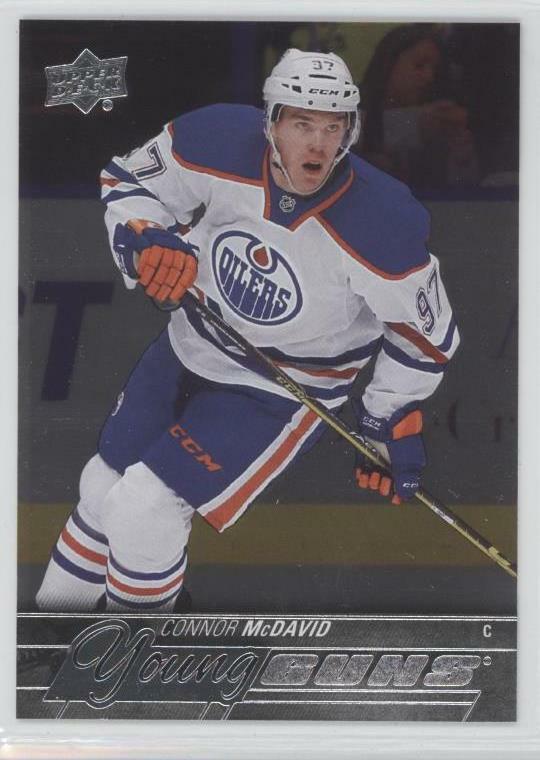 Until then, let’s take a look at some of key Prospect cards that already available. 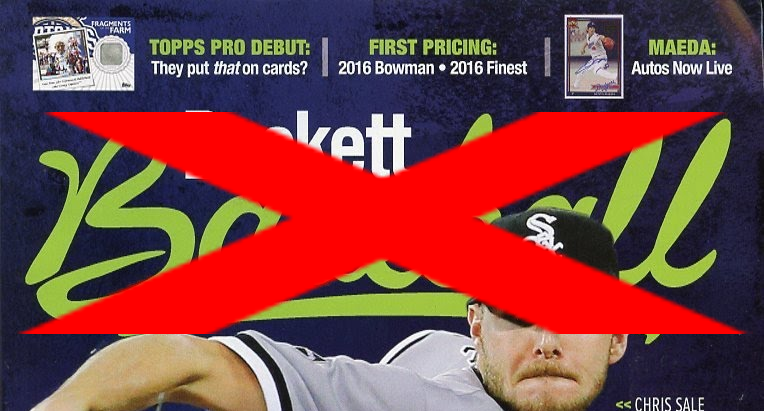 In late April when 2017 Bowman hit the streets there was little publicity around the retail-only Target-exclusive Mega Box that was slated to be released. 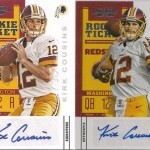 Topps had been issuing retail-only mega boxes with some previous releases, namely Topps Update. Typically, in those release, these boxes contained five base packs along with two exclusive chrome packs. 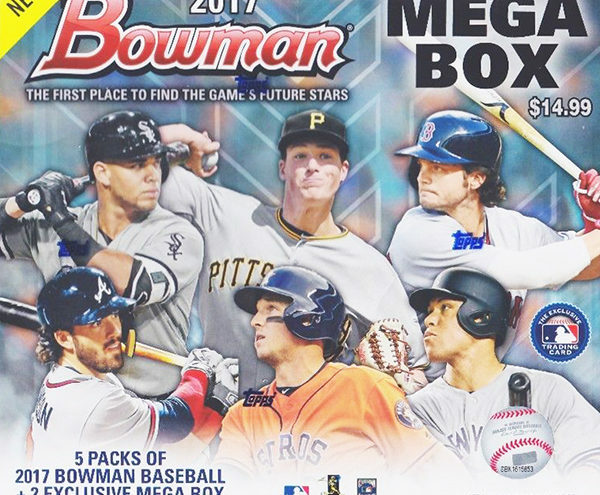 In 2017 Bowman Mega Boxes, each box contained two base 2017 Bowman packs along with two Mega Box exclusive packs. These packs contain four Mega Box (Mojo) refractors and one Mega Box insert refractor. These refractors came in four parallels: Purple (serial numbered to 250), Green (serial numbered to 99), Orange (serial numbered to 25) and Black (serial numbered to 1). Kris Bryant has set the baseball prospecting community on fire with his tremendous display of power during Spring Training. With each of his nine Spring Training home runs, Bryant’s cards continue to gain steam, and have now gone flat-out crazy, in terms of collectability and prices. 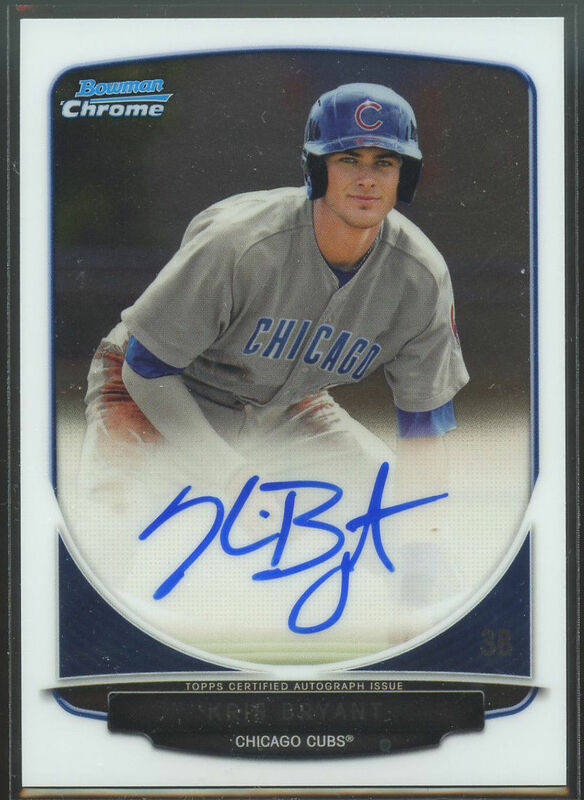 Without a doubt, his 2013 and 2014 Bowman Chrome Autographs have been the most sought after versions of Bryant, so we have put together a small guide to show you each of Bryant’s Chrome Autographs, and where you can find them yourselves. Got a hard to shop for somebody that loves to show of their team spirit? These Ugly NFL Sweaters will be a sure fire hit at the next game or office ugly sweater day. Earlier last year, eBay changed the way it display completed auctions – an invaluable tool for many sports card collectors. With this change, eBay made it more difficult to see both the most recent completed sales and best offer prices accepted. Our wonderful friends at sortsof.com have devised a very slick and simple website to now search and compare numerous eBay auctions at once. Last week, 2014 Bowman Baseball hit the streets with much anticipation from collectors. 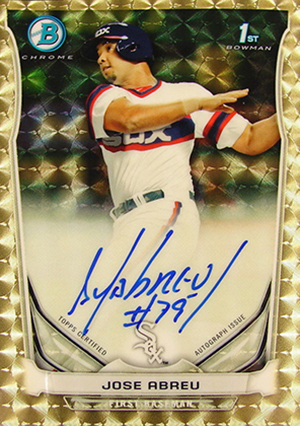 Coverboys, Kris Byrant and Jose Abreu, are each featured on their highly-coveted 1st Bowman Chrome Auto cards and are certainly help drive the demand for this product. 54 prospect autos and 16 rookie autos have really diluted the release and much of the potential return value on the secondary market. Each week, Baseball America recognizes the hottest prospects in the minor leagues from past week. 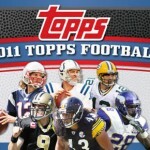 We take a look at their list and give you a look at the week’s top prospects top cards.